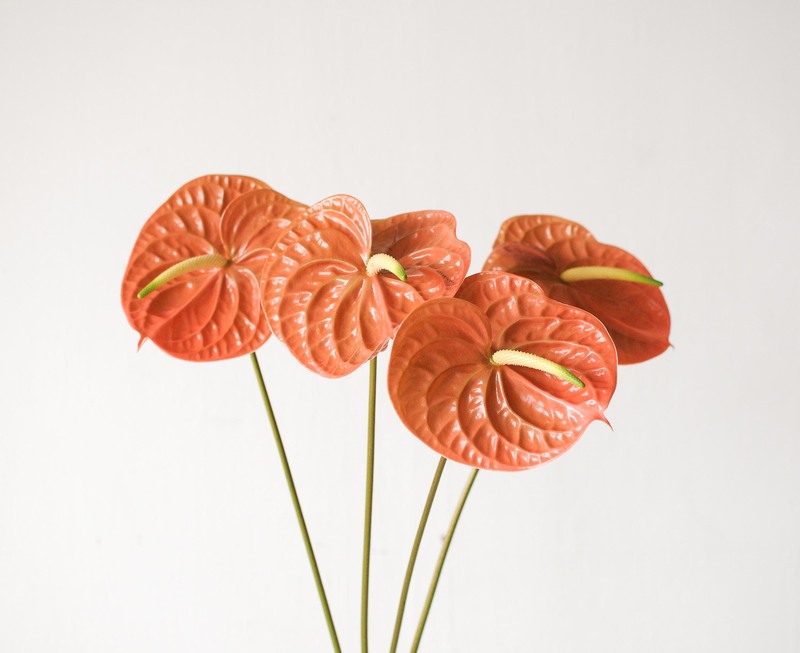 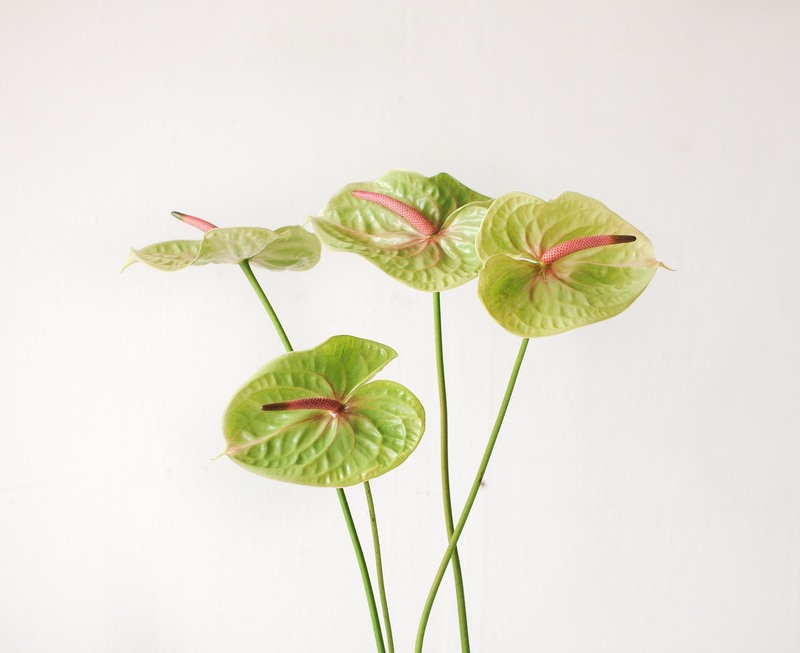 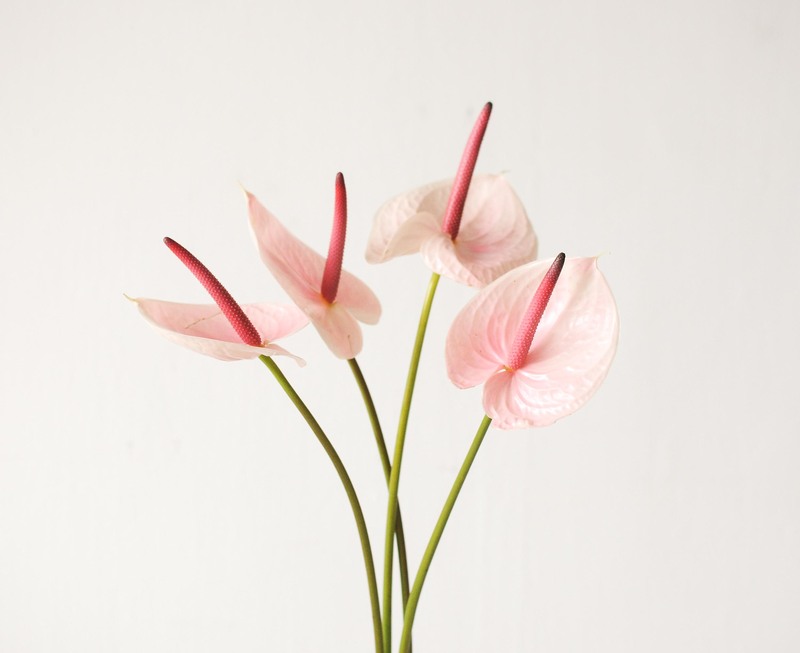 Also known as the flamingo flower, anthuriums are enjoying a revival in the floral scene, gaining attention as a variety with unique hues and large statement blooms. 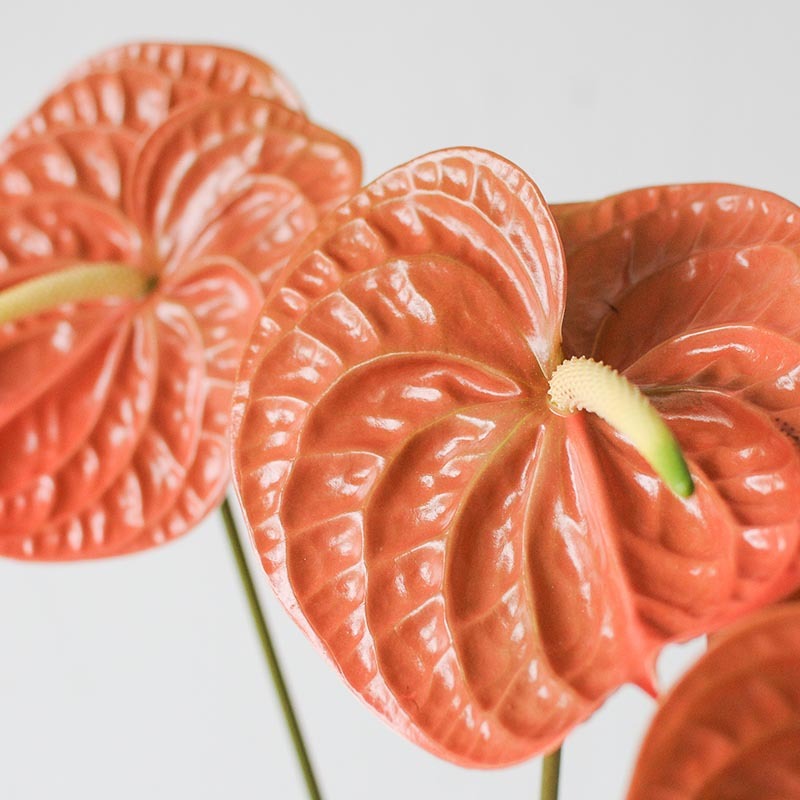 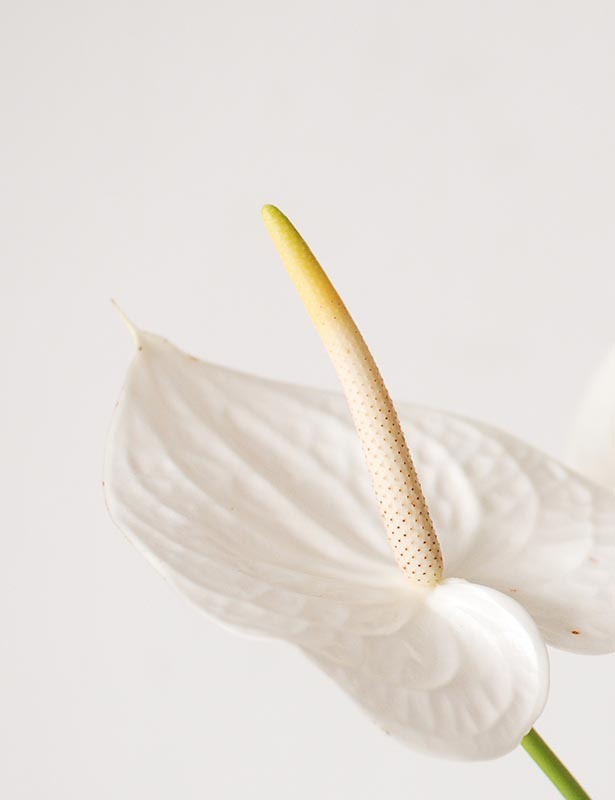 It is easy to mistake the large heart-shaped part of the anthurium as the flower when it is in fact the spathe, the waxy leaf that flares out from the base of a fleshy spike called the spadix, and it is on this spike where the tiny real flowers grow. 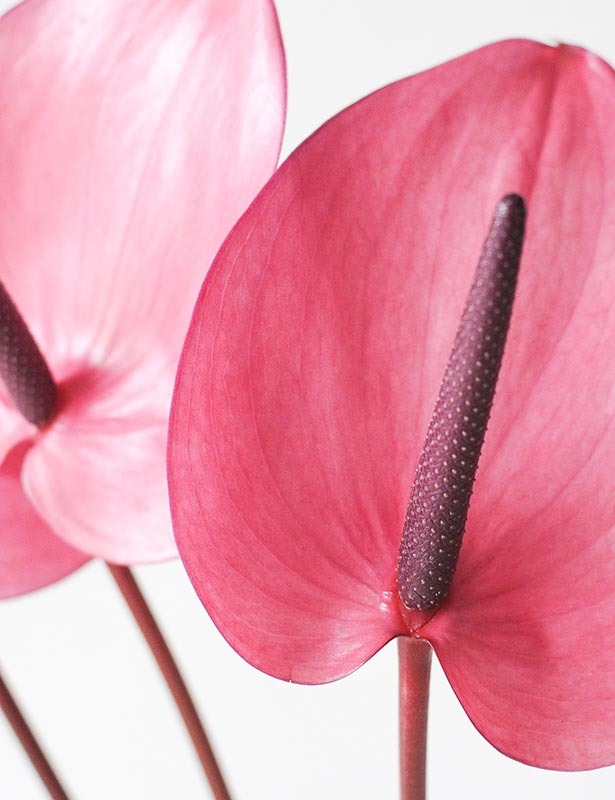 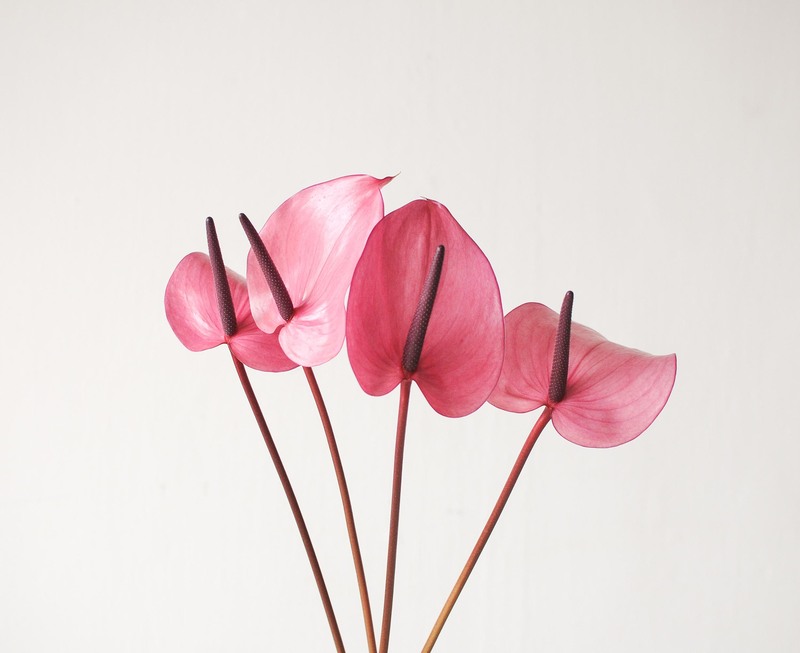 The anthurium stalk also grows in interesting curves that introduce a natural and organic style to bouquets and centrepieces. 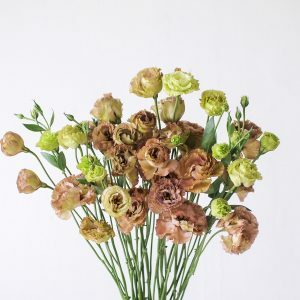 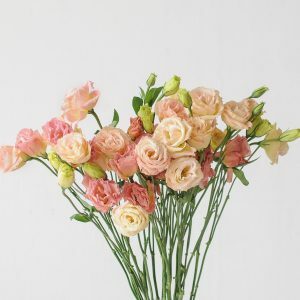 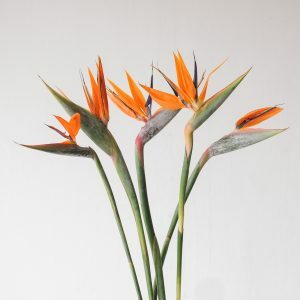 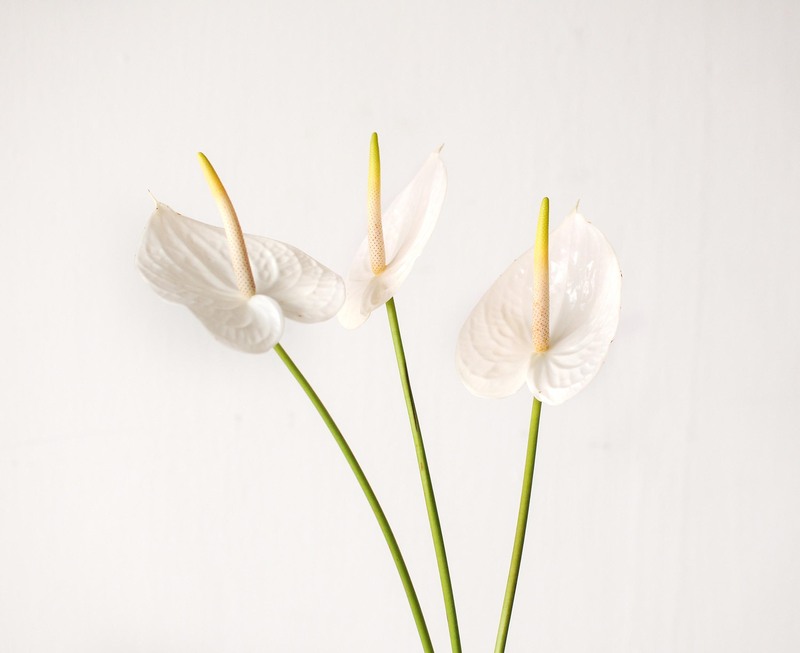 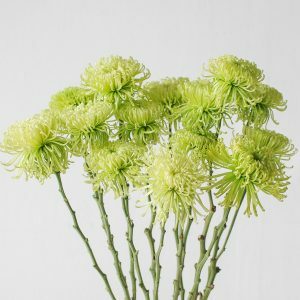 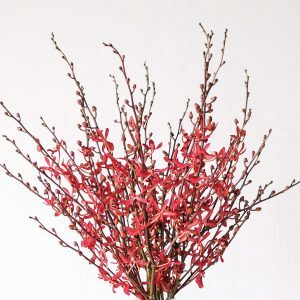 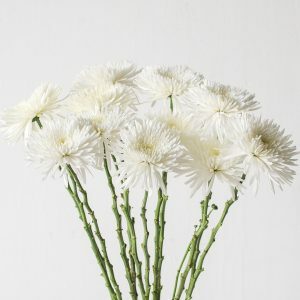 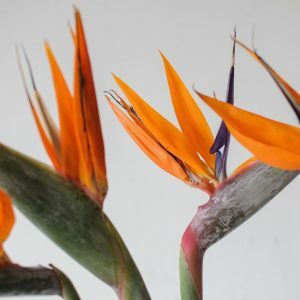 It is a sturdy flower and with the basic care of fresh water in the vase and snipping the ends of the stems daily, it can last up to 2 weeks. 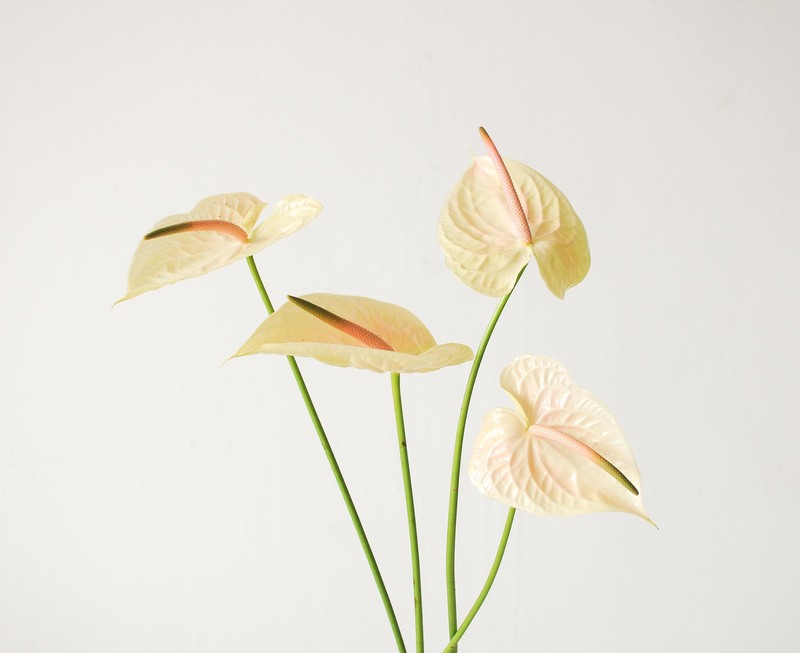 The anthurium is a medium-stemmed to tall-stemmed variety, ideal for dining tables, entrance tables, console tables and bar top centrepieces.